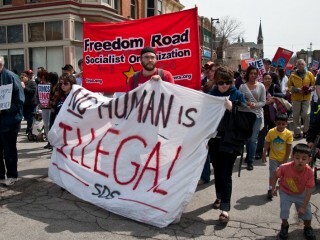 Massive Milwaukee May Day march for immigrant and workers rights | Fight Back! 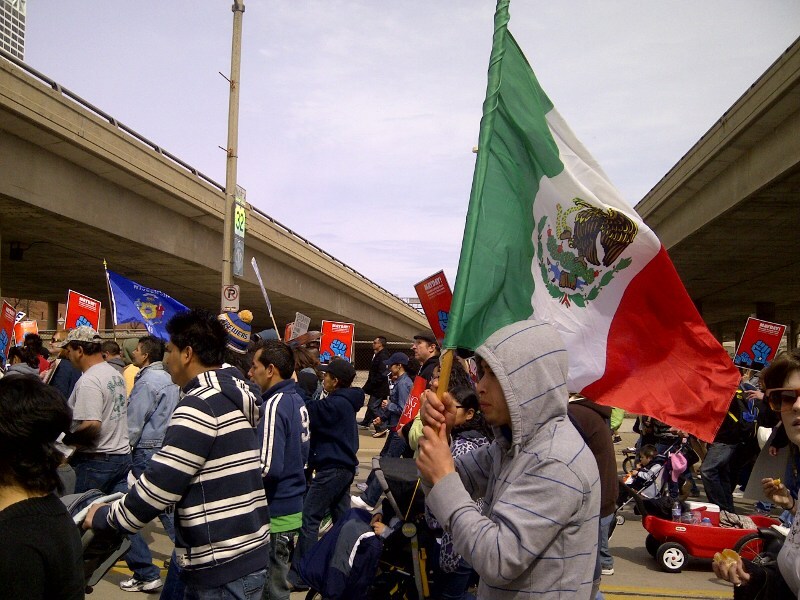 Milwaukee, WI - Tens of thousands marched here, May 1, in the Wisconsin Solidarity March for Immigrant and Worker Rights. Sponsored by Voces de la Frontera, the march wove through Milwaukee's south side up through downtown. Richard Trumka, President of the AFL-CIO, spoke at the rally, urging the immigrant rights and labor movements to unite to fight a common enemy, one that's brought an immense attack on public sector unions and is also attacking immigrants. 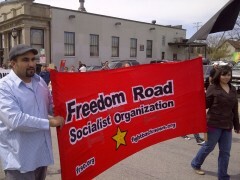 Members of the Committee to Stop FBI Repression attended the rally, marched in support and petitioned as well. "We are proud to be part of a national effort to gather support for the many Midwesterners who have been facing government repression for their organizing around antiwar and international solidarity," commented Daniel Ginsberg. 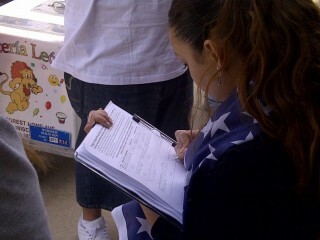 Jhoselinn Perez was one of the many young and energetic marchers. "I was marching today because the working class and the oppressed masses has kept quiet far too long and being a part of the uprising is as close as I can get to personally experiencing the uncapped potential of the people," she said. The march was loud, vibrant and, with inspiration from the uprising in Madison over collective bargaining rights, many people felt like they will truly be able to turn the tide against these attacks from the ruling class.